I am proud to introduce our readers to this great new book by Rick Antonson, a close friend, who is CEO of Tourism Vancouver. "Timbuktu for a Haircut " is one of the best travel related books I have had the pleasure of reading. My review will appear soon on this website plus others in our network, and in Africa Travel Magazine. REBUILDING TIMBUKTU: UN WORKING WITH MALI TO "KEEP CULTURE SIGNIFICANT"
NEW YORK, NY - Two of the World Heritage mausoleums destroyed in Timbuktu have now been rebuilt through a partnership with local communities, the United Nations cultural agency said, adding that it will need an additional $8 million to finish the rehabilitation of the site and of libraries that could again store hundreds of thousands of Malian manuscripts. �We are looking for $11 million,� UN Educational, Scientific and Cultural Organization (UNESCO) Representative to Mali, Lazare Eloudou Assomo, said in New York. 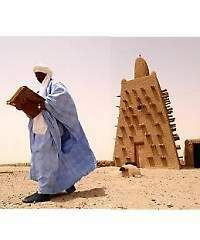 Timbuktu was an economic, intellectual and spiritual capital and a centre for the propagation of Islam throughout Africa during the city's golden age in the 15th and 16th centuries. According to UNESCO, the three mosques and the 16 mausoleums comprising the property are part of the fabled city that was once home to 100,000 inhabitants. The site was heavily destroyed by occupying extremists after fighting broke out in January 2012 between Government forces and Tuareg rebels. The conflict uprooted hundreds of thousands of people and prompted the Malian Government to request assistance from France to stop the military advance of extremist groups. In March, local masons working under the supervision of Imam of Djingareyber, and with support from UNESCO and the UN Multidimensional Integrated Stabilization Mission in Mali (MINUSMA), which is mandated in part to support the Government in cultural preservation, laid the first earthen brick to reconstruct two of the mausoleums. "TO TIMBUKTU FOR A HAIRCUT. A JOURNEY THROUGH WEST AFRICA"
Author and tourism executive, Rick Antonson, sets out on an unforgettable journey to Africa, and chronicles his adventures in TO TIMBUKTU FOR A HAIRCUT: A Journey Through West Africa,, published by Dundurn Press on June 7, 2008. "To Timbuktu for a Haircut is a great read - a little bit of Bill Bryson, a little bit of Michael Palin, and quite a lot of Bob Hope on the road to Timbuktu." &endash; Professor Geoffrey Lipman, Assistant Secretary-General, United Nations World Tourism Organization. As Antonson travels in Senegal and Mali by train, four-wheel drive, river pinasse, camel, and foot, he tells of fourteenth-century legends, eighteenth-century explorers, and today's endangered existence of Timbuktu's 700,000 ancient manuscripts in what scholars have described as the most important archaeological discovery since the Dead Sea Scrolls. TO TIMBUKTU FOR A HAIRCUT combines wry humour with shrewd observation to deliver an armchair experience that will linger in the mind long after the last page is read. Rick Antonson is the president and CEO of Tourism Vancouver and a director of the Pacific Asia Travel Association. He has had adventures in Tibet and Nepal, and in Libya and North Korea, among others. The co-author of SLUMACH'S GOLD: In Search of a Legend, he lives in Vancouver. Addressing the 600 people in the ballroom, he said, �I see people who think of the bigger things.� He praised their willingness to �play for higher stakes�. You wanted more and were willing to take that risk�. My great good fortune has been to live in the same time as you.� The Olympic bid could have died from a thousand cuts, given the many arguments against it, and reports of not only its death, but that of the convention centre, were often greatly exaggerated. But as he prepares to retire, Antonson said it is not time to stop. The �fight to get it right� must continue. The convention centre should be expanded on the east side. Looking out through the floor-to-high-ceiling windows that provide a stunning view of Coal Harbour and the North Shore mountains, �I think of the people who want to build up those mountains. You�d lose the reason why people say Vancouver is spectacular by nature.� Antonson dreams of the camping trips his grandsons, Riley and Declan, will take across Canada and then getting their passports so they can explore the United States and then �dozens and dozens� of countries. But why can�t that freedom to explore be shared by children around the world? Children living in Syria and the Sudan can�t even travel to the next village without their lives being in danger. And that�s where the message of tourism being an ambassador for peace comes into play. Can only be found in Tombouctou"
There is a Tuareg proverb which says, "It is better to see for oneself than to be informed by a third person." On these words we will invite you to put Tombouctou on the top of your twenty first century agenda. Located near the river Niger and at the terminus of the great trans-Saharan caravan route, Tombouctou became fabulously wealthy in the 13th 15 centuries. Loaded with blocks of salt and other trade goods huge convoys of camels would spend weeks crossing the unforgiving Sahara to reach Timbuktu. 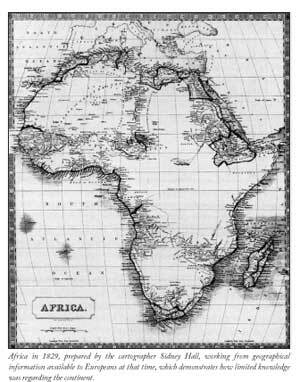 It was here that salt was traded pound for pound with African merchants bringing gold and ivory along the Niger from the heart of Africa. At its height in the 16th century, the city had 100.000 inhabitants and became not only a centre of commerce but also an important seat of learning and religion. The city was fiercely Islamic and the fact that non-Moslems were totally banned from entering the city only added to its mystique. Timbuktu was formerly a great commercial trading city and an international center of islamic learning. The city was probably founded in the late 11th century AD by Tuareg nomads. Timbuktu was a leading terminus of trans-Saharan caravans and a distribution point for trade along the upper Niger. Merchants from northern African cities traded salt and cloth for gold and for black African slaves in the markets of Timbuktu. The visitors will discovered the ancient mosques including the famous Sankore whose reputation spanned all across north Africa and Europe as a leading islamic academy for centuries. Most of the ancient books (some dating from the 14th century AD) are still preserved at the Ahmed Baba Center . Tuareg formed one of the most ancient tribal people of the Sahara. They speak a Berber language, Tamacheq, and have their own alphabet. In ancient times, the Tuareg controlled the trans-Sahara routes and substantially contributed in the expansion of Islam in sub-Saharan Africa even though they retained however some of their older rites. Today, the Tuareg symbolize the mysteries of the Sahara and continued to be seen as the Masters of the Desert.